Chail as we know it was conceived out of a romantic encounter, so the legend goes. Apparently Maharaja Bhupinder Singh of Patiala had commenced an affair with a British girl in Shimla, who was the daughter of the commander-in-chief. The incensed Britisher exiled the Maharaja from Shimla. The Maharaja vowed to build a better hill resort than Shimla. He chose to cultivate Chail. Rajgarh Hill, Pandhewa Hill and Sadh Tiba were chosen for building various palaces. 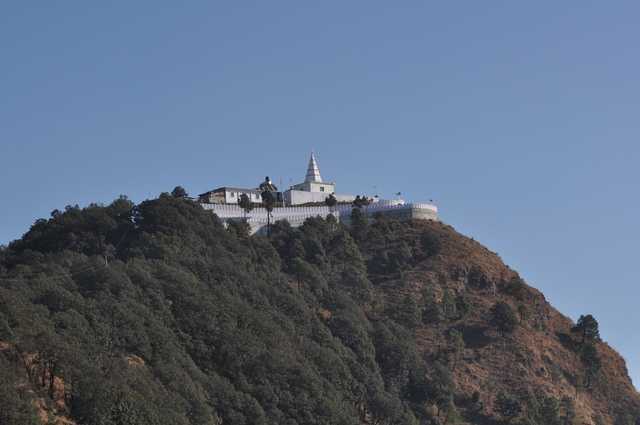 Sadh Tiba is the location of the Chail town. Pandhewa Hill is where the British Resident had his palace. The Summer Palace of the Maharaja was built on Rajgarh Hill. It spans an area of 75 acres of land. The palace itself is magnificent and well maintained. There are walkways all around it and beautiful gardens. It is lined with magnificent Deodar trees. This is the most popular spot in Chail. It is on a must-do list of all tourists to this area. 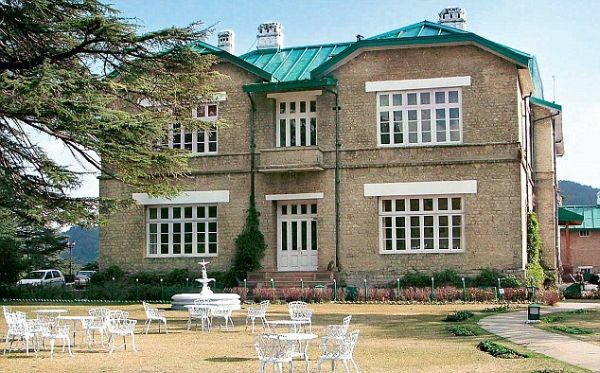 The Maharaja was an avid player of cricket and built a cricket ground in Chail. It happens to be the highest cricket ground in the world. However, this is just for historical reference. At the moment the ground is used by the Military and is largely inaccessible to the public. 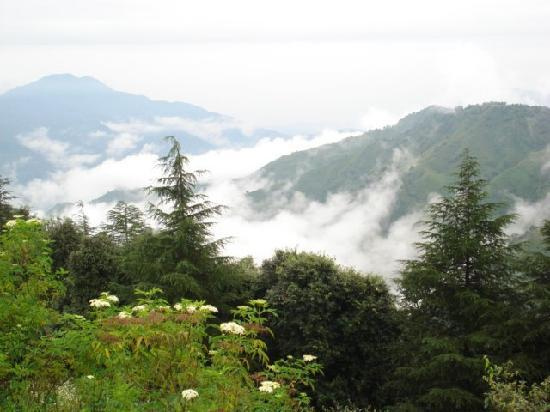 Chail Sanctuary is a favorite spot for bird watchers and wildlife lovers. It is spread over more than 10 hectares and is built on a hilly terrain. There are several machan like structures all over the sanctuary to enable visitors to view the wildlife better. Sidh Baba ka Mandir is located between Rajgarh and Pandhewa Hills. Initially, the Maharaja wanted to build his palace at this spot. He had also started the construction, but for one reason after the other, the work was delayed and encountered difficulties. One night a Sidh Baba (sage) appeared in the Maharaja’s dream and told him that he used to meditate at this spot. The Maharaja deemed it to be a holy place and instead built a temple there. This place affords a beautiful view of the Shimla hills as well. People like to go there for both devotional purposes as well enjoying the beautiful views. Himachal Pradesh is famous for quaint temples in scenic spots that make you feel you are in close contact with the divine. Chail is no exception to this. Apart from Sidh Baba ka Mandir, there are other temples worth visiting. There is the Ram Mandir, Panchmukhi Hanuman ka Mandir, Maa Kali ka Mandir and Shiv mandir. There is also a beautiful Gurudwara, built in 1907. Kali ka Tibba is a temple dedicated to goddess Kali. It is situated atop a hill called Blossom. It is close to the Rajmata Cottage. People prefer to trek up the hill to get to the temple, from where you get a nice 360 degree view of the area. There is a small road with some shops that pass for a market. There are a few hotels here. The place is not too commercialized and is ideal for a quiet holiday. Sadhupul is a little village on the way to Chail from Kandaghat. It is a popular picnic spot. Tents can be hired to spend nights and there are good eateries here. It is on the bank of a river and the quaint place worth a stop. Chail is about a 100 kms away from Chandigarh and 50 kms from Shimla. People who wish to fly can land up in Chandigarh. From there one has to travel by road. However, the quickest way to reach Chail would be to just travel by road. One can take buses or a taxi either from Shimla or Chandigarh.